Maang Tikka With Hijab. Hijjab is the beauty of integrity and modesty and a sign of spiritual aspiration. But in modern times it is adapting with unique styles and ideas day by day. 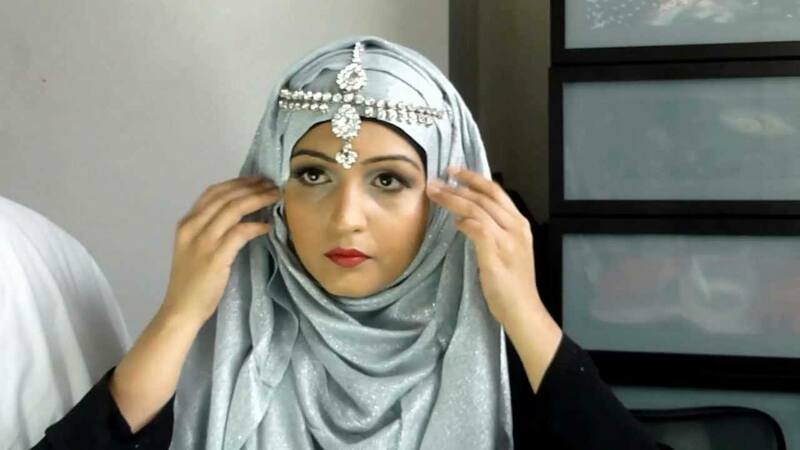 Hijabi girls who want to show their jewellery assets can adopt different hijab looks.Depending upon the occasion/event there are no of ways you can accessorise your hijab . So maang tikka is an item which isn’t hidden with hijab always. Looks can be enhanced by accessorizing matha patti on women’s forehead with hijab. With such a dazzling look we have compiled a list of 17 different traditions through which the jeweled maang tikka can be worn with hijab in different styles and ways. Searching for a modern twist? This hijabi style is super stylish and adorable with chained tikka and embroidered hijab dupatta. One can adopt the tradition flawlessly with this style, as the vintage headpiece is fitted perfectly within the pleats of Hijab. The contrast of the tikka with the hijab is quite chic that one can absolutely love. Another different way to add a tikka to hijab is possibly the easiest simplest way one can try. It is just about how to add folds on the top of your hijab for some extra volume. Keeping in mind the increasing demand of Turkish hijab style, This is the best way to adopt a classy look with mang tikka chain on Turkish hijab. 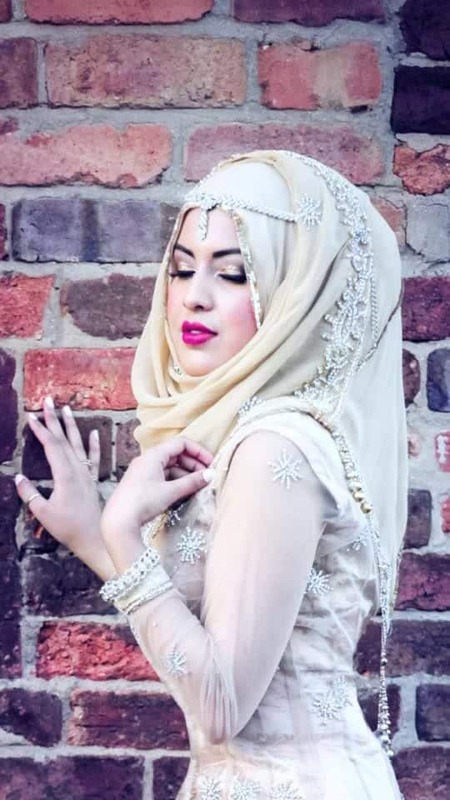 It is most beautiful looking Turkish hijab styles mostly worn by models. The most famous hijab worn everywhere in the world is the simple Arabic one because it is worn in the most casual way. It can be bejeweled with a necklace worn over or under the hijab for a casual look. But for a traditional look, you can opt for a maang tika who want their face to look slimmer. Under wrap with maang tikka and host of jewelry makes the look more beautiful. It truly makes this hijabi girl completely regal. The contrast of the colored underscarf with embroidered dupatta is another perfect duo . The layering of the dupatta creates a unique double fold that presents sheerness and looks with simple mang tikka and completely stunning. Try layering your fancy embroidery dupatta for doubling the magic. Another fabulous pallet style side knotted hijab can be embellished with mang Patti and tikka on hijab. It can add blooming charm in your wearing style. For extraordinary modest look on your big day bridal hijab can be decorated with kundan based maang tikka. The stylish and fancy tikka can idealized your modern hijab wearing style. It adds an attracting charm to your appearance. The shining crystal stone double layered matha Patti and tikka can embellished your head wrapping hijab style. Stylish but simple hijabi girls can elaborate the style with highly embellished tikkas. If you adore it then you can also try it for gorgeous bridal look. Simplicity enhances a look of sophistication and beauty that could not be achieved necessarily by heavily-embroidered hijab. We suggest girls to don a light work hijab with simplest tikka frame for an innocent look. Hijab style can also be the reflection of main event, Maang tikka, inner white draped hijab with free flowing dupatta on your big day justify an adorable style. Layered chains attached matha Patti give alluring appeal on the hijab style. Mostly it shows a gentle charm in winter season. Beautiful layers of tikka patti enhance charm in your chic look. Turban style hijab can enrich your look when it is embellished with antique tikka design. Light and dark shades with under hijab cap style increase the glam of your style. Twisted style wrapping hijab with elegant crystal stone tikka headpiece shows elegancy. Dark colored hijab with under hijab cap show modest charm especially in evening party events. Hijab with party mang tikka bring eye-pleasing charm and fascinating hue on the modern look. Attractive silver tikka chain can add impressive glam on colorful wrapped chiffon hijab. Simple plain but elegant hijab can captivated with tiny pearls and center diamond chain matha Patti. Matha Patti matching hand bracelet brings huge charm in the appearance. Antique style silver Tikka chain is inflated on colored beaded hijab. The double tone turban hijab wrap with the vintage jewel show stunning glam as a center of attention. With black hijab fabric you can go with stunning contrasting Tikka chains to give a extreme adorable look for party events.